A former MVP now has his own slot in the Ticket Counter. 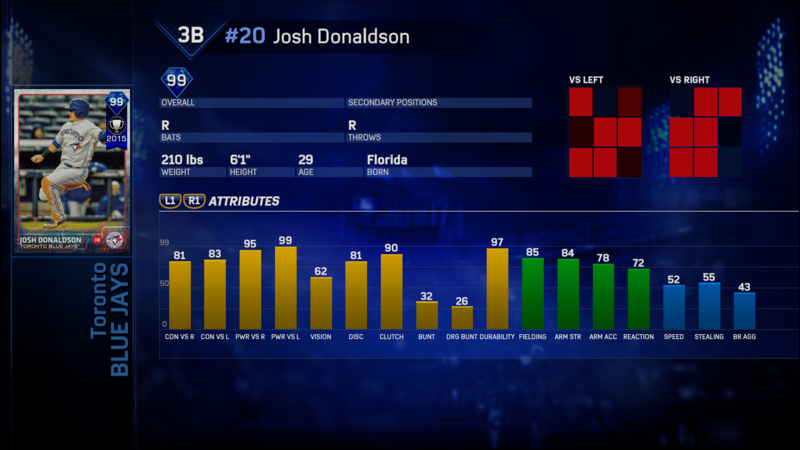 You can purchase Hardware Flashback Josh Donaldson (Diamond, 99 OVR 3B) if you have leveled up to Diamond XP Level 50 and can spend 10,000 Tickets. In Donaldson’s 2015 MVP year, he blasted 41 home runs and drove in 123 RBI while playing solid defense on the hot corner for the Blue Jays. If you don’t have enough Tickets, the best ways to earn them are through Missions, Ranked Season rewards and every time you play Diamond Dynasty games. Every Monthly Awards pack is back, but there’s a catch. You can purchase the new Mystery Monthly Awards Pack in the Show Shop, but you don’t know which month (April, May, June, July, August or September) you will find in the pack. Each pack guarantees one of the previous Monthly Awards packs, which contains a guaranteed Gold or Diamond Monthly Awards player item plus three other player items. Remember, to complete any of the Monthly Awards player Epic Collections, you will also need to acquire the sixth player from each month in the Ticket Counter. New, exclusive cards are featured in Set 12 of Standard Packs, which are available in the Show Shop and can be purchased in 10, 20 and 50-pack bundles. This is the only place these cards will appear all season, and both cards can be sold in the Community Market. 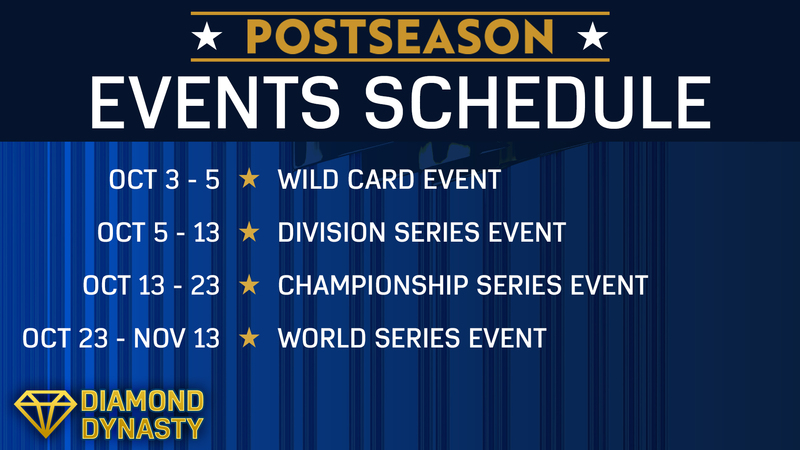 The Championship Series Event ends Monday, Oct. 23, at 3 p.m. ET / noon PT. Three hours later, the World Series Event will begin and runs through Nov. 13. Also in the coming days, look for new Ticket Exchange Missions to pick the World Series Winner. Enjoy the Fall Classic!